We as humans are an inquisitive bunch. We want to know and understand everything right away. But there are simply some things that we will never know this side of heaven. • We are children of God. • Christ will appear to take us home to heaven. • We are dearly loved by our Savior. • We are forgiven and saved from all our sins through the suffering and death of Christ. In the end, no questions about what we don’t know really matter, because what we do know is all that matters. Using everyday life and current issues as a vehicle for proclaiming the Gospel has always been the approach of Creative Communications for the Parish and its parent company, Bayard Inc. It is my hope that these brief posts will help the readers see how Christ is still at work in the Church and in each one of our lives as his followers. 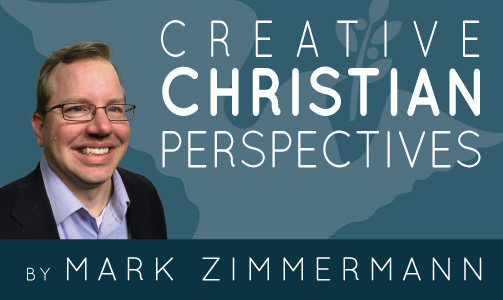 Mark Zimmermann serves as the Senior Product Developer at Creative Communications for the Parish, where he has worked since 1994. In this role, he acquires authors, procures permissions from other publishers, and molds and shapes submissions to meet the changing needs of today’s pastors and parishes. In addition, he is the current editor of Hope-Full Living, a daily devotional for Christian Seniors, and Healing Words, a quarterly devotional for hospital patients. He lives in St. Louis, MO, and enjoys hiking and biking.